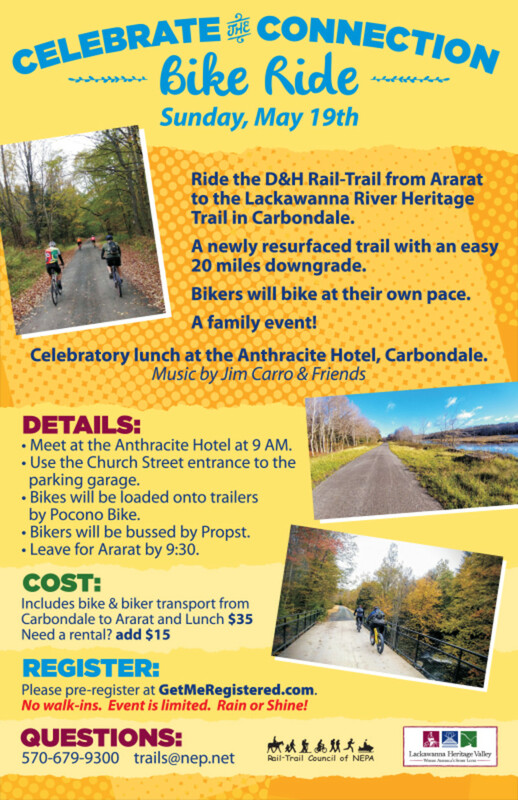 Ride the D&H Rail-Trail from Ararat to the Lackawanna River Heritage Trail in Carbondale on a newly resurfaced trail with an easy 20 mile downgrade. Meet at the Anthracite Hotel at 9 am where bikes will be loaded on trailers and participants will get on busses to be transported to Ararat. 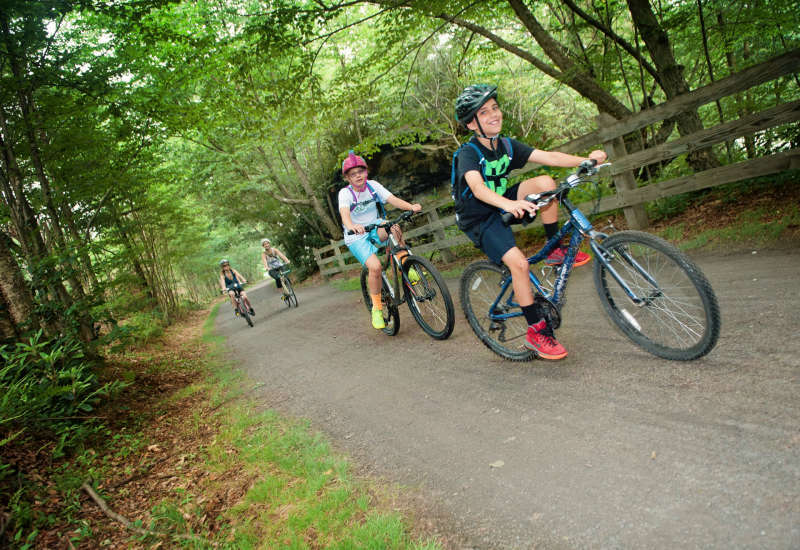 Bikers will bike at their own pace (20 miles downgrade, easy pedaling)! Lunch will be served buffet style in the banquet room at the Anthracite Hotel from noon-2pm. Enjoy food, live music and a slide show! Pre-register at getmeregistered.com. Walk-ins are not permitted -- event is limited. Rain or Shine!